As you can imagine the furniture business in a coastal resort community with 1,000's of condos is extremely competitive. 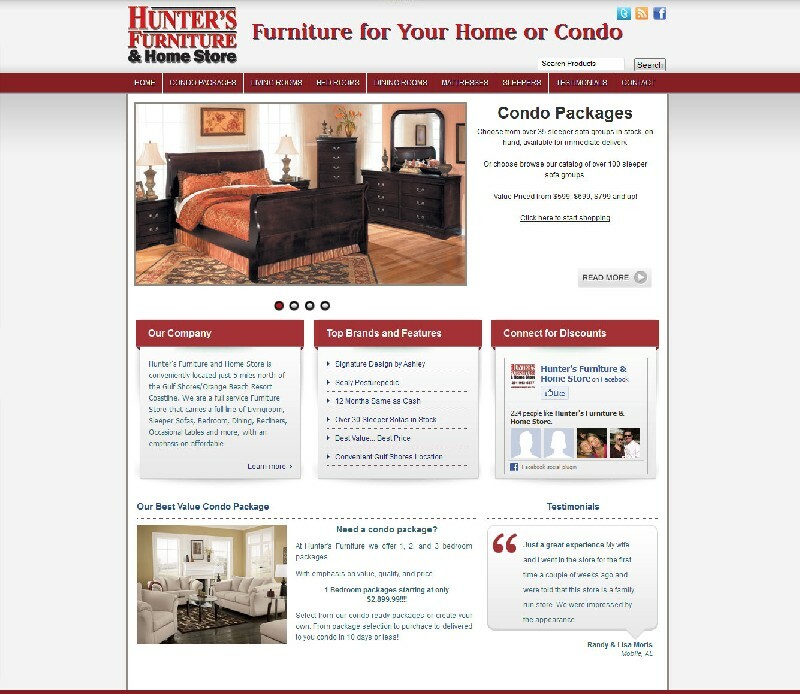 Within one month of Hunter's Furniture's website going live they were #2 for a Google map location for their targeted key word's "Furniture" and "Furniture Store" in Gulf Shores and Foley Al. Even more amazing they were #1 for "Sleeper Sofas" which is one of their biggest selling items. Their site currently sees over 2800 unique visitors per month and their Google business listing receives over 400 views per month!